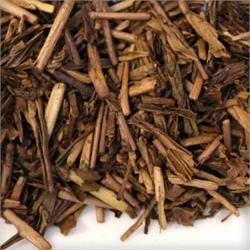 A fully roasted green tea which gives the appearance of a brown leaf. The roasting process reduces the astringency and lowers the caffeine content, producing a very pleasing round nutty flavour. This is the preferred starter tea for Japanese children. Perfect with meals or anytime.